Because you never get a second chance to make a good 1st impression. I spotted this gem of cat torture recently while shopping at SuperTarget. I found it simultaneously ridiculous and hysterical and I’m still giggling about it days later. I am entirely too easily amused. 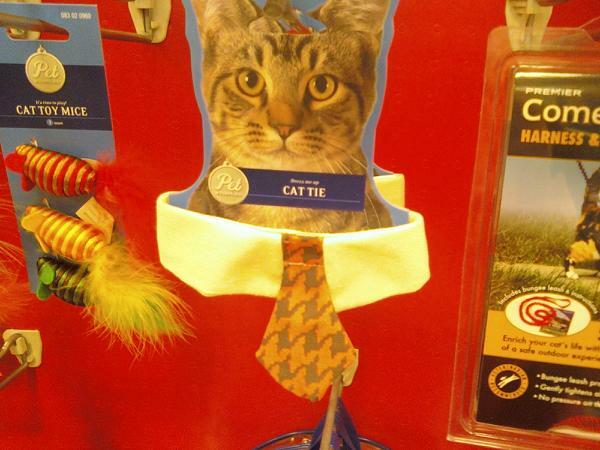 Categories: Blog, Uncategorized | Tags: cat, target, tie | Permalink.